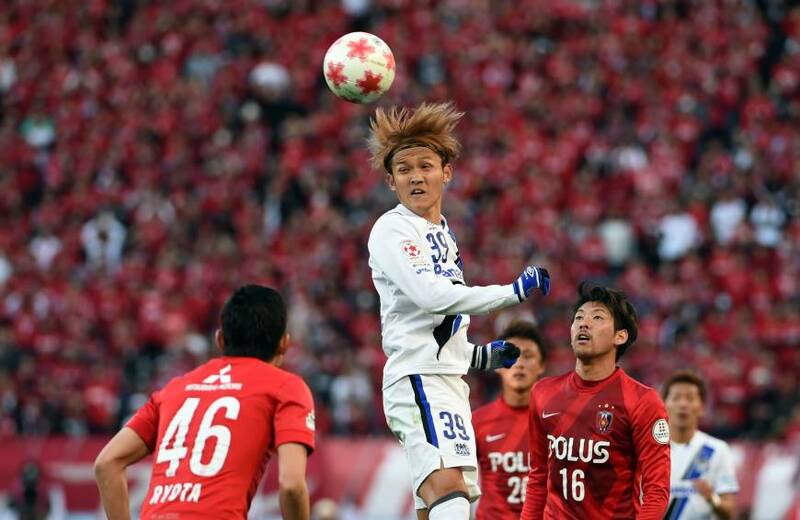 The Jan. 1 Emperor’s Cup final brought the curtain down on the 2015 Japanese soccer season, but already J. League clubs are gearing up for the new campaign ahead. Teams around the country are marking the official start of their 2016 activities, with some already starting training after the shortest of winter breaks. The season kicks off in February for the first time as the J. League looks to accommodate a crowded schedule, and some players and managers are still getting used to their new surroundings. Champions Sanfrecce Hiroshima, who played no fewer than eight games in December across three competitions, have mercifully yet to return to training. But Urawa Reds, who lost the Emperor’s Cup final to Gamba Osaka on New Year’s Day, get back to work this weekend with a smattering of new faces hoping to make a good first impression. Urawa also landed the most sought-after player on the domestic market this winter when it signed Japan Under-23 captain Wataru Endo from Shonan Bellmare. But plenty more transfer business will be conducted around the league before the season kicks off on Feb. 27. Keeping hold of star players could pose a problem for even the biggest clubs, however, with three players from last season’s J. League Best XI — FC Tokyo defender Kosuke Ota, Kashima Antlers forward Mu Kanazaki and Sanfrecce striker Douglas — already having been tempted overseas. “My job as coach is to give players their chance, and more important than winning is to develop players,” said Shonan manager Cho Kwi-jea, who also lost captain Ryota Nagaki to Kashima Antlers last month. It may be just a matter of weeks since 2015 ended, but the J. League does not stay quiet for long. Shibasaki shoulders burden: One player who looks like sticking around in the J. League for a while longer is Kashima Antlers midfielder Gaku Shibasaki. 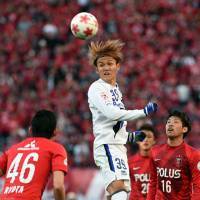 Shibasaki, who has long been linked with a move to Europe, has been handed the No. 10 Kashima jersey worn by the likes of Zico, Leonardo and Bismarck for the coming season, and the symbolism has not been lost on the 23-year-old. “I say I don’t have any particular preference for shirt numbers, but now that we’ve arrived here my body feels tense,” Shibasaki said as Kashima’s squad numbers were unveiled on Tuesday. S-Pulse still beating: Shimizu S-Pulse were the first club to officially open their 2016 season last Friday, but the campaign ahead will be a very different experience for the Shizuoka side. S-Pulse will begin life in the second division for the first time after feeling the cold hand of relegation last year, and new manager Shinji Kobayashi is already trying to put a positive spin on the situation. “I don’t want anyone to forget what happened last year,” Kobayashi was reported as telling the players on the first day of training on Tuesday. “J1 is the best, but relegation is something to learn from. — Australian goalkeeper Tando Velaphi, whose father is Zimbabwean and mother Japanese, makes an impression after signing for Shonan Bellmare from Melbourne City.